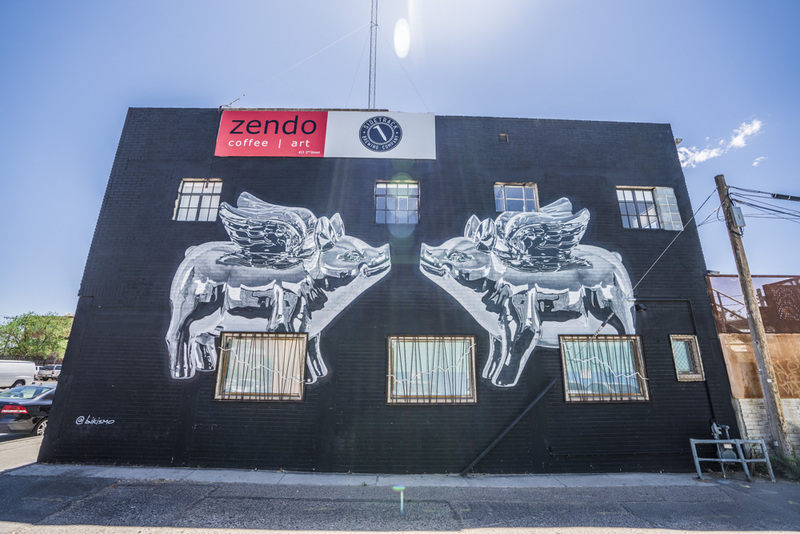 The Duke City's local artists share their favorite murals in Albuquerque. Rick Pimentel of Pimentel & Sons Guitar Makers said it simply (and best) when he shared, "Albuquerque is a city that's big on art." Art has been ingrained in Albuquerque's DNA for centuries. And the local art scene is still thriving, as evidenced by the the city's many galleries, museums, shops and murals. 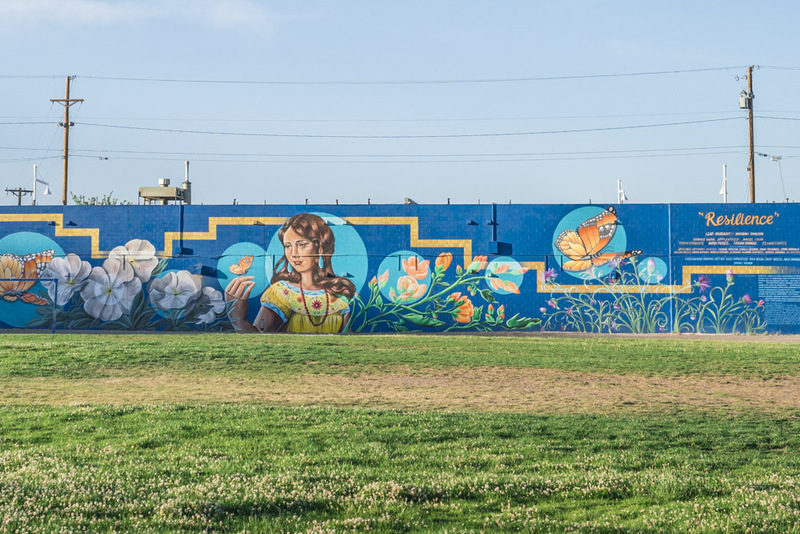 Here, Visit Albuquerque spoke with artists and art lovers Nanibah Chacon, Pilar Westell of Zendo, Tess Coats of Spur Line Supply Co., and Julia Mandeville of the Harwood Art Center, who shared their recommendations for some of their favorite murals in town. You might need even more than a full day to see them all! Per Julia, "It can take an entire day to see our incredible portfolio of murals and two and three-dimensional public art. Albuquerque has one of the oldest public art programs in the country and our collection is incredible." 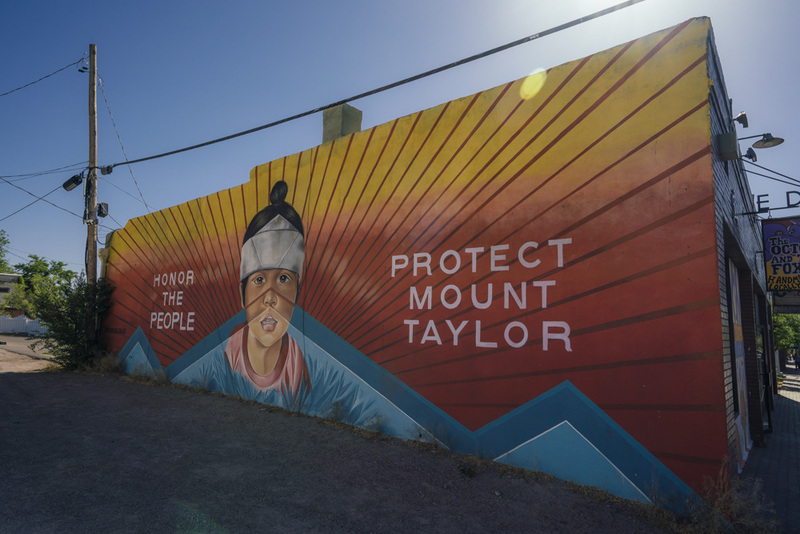 For a more comprehensive guide to Albuquerque's murals, check out MurosABQ.com. “Leopoldo Romero is a mentor, and one of my favorite of his pieces is on12th Street. It was a tryptic but one portion has now been covered over; the piece that had three phrases on it, 'Una Vida Buena y Sana, Reso Lana, And Raza Cosmica.'"